Sam Fox is on a caving expedition in the desert when the roof collapses, trapping his brother Nathan beneath tonnes of rubble. Nathan is in a bad way, and Sam's his only hope. 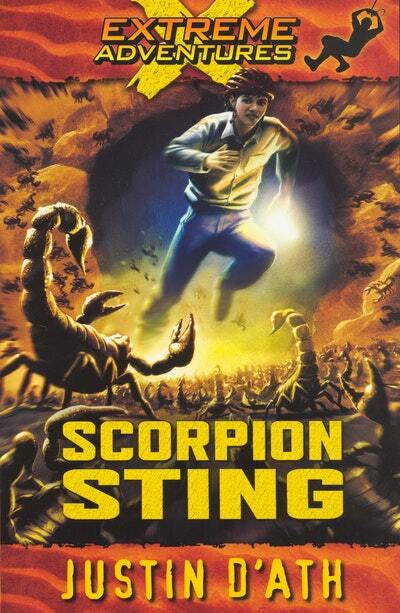 But when he reaches the cave exit, Sam discovers a sea of huge, angry scorpions! And that's just the first deadly obstacle he will have to face if he's to get his brother out alive . . .
An action-packed rollercoaster ride, Scorpion Sting is the fourth book in the Extreme Adventures series! Love Scorpion Sting: Extreme Adventures? Subscribe to Read More to find out about similar books.